I’m trying to do a blog this week with the pressure coming from my publisher/editor-in-chief…errr, my wife but with me having a flu (which I haven’t had for almost a year) my lazy bones took over. My mind stopped functioning, grammars in my composition worsen and my gray matter preferred holding the TV’s remote instead. I tried to fight back by starting to read a book – Digital Fortress – but every time I sniff I get distracted and left me no choice but to put it down often. I had to cancel badminton and gym sessions as well and confined my activity within our sofa, bed, sofa, bed – all of which puts me in front of the TV most of the time if not in front of the PC. Luckily, TV shows lately are quite new (at least to me) and I enjoyed most of it. Last night Amazing Video’s episode: Stunts Gone Bad had my sadistic side pumped up as I was laughing my heart out while skateboarders and BMX’ers crash and burn. And just before I went into deep sleep, I heard David Letterman mentioning that Kevin Robinson achieved a 27 feet ramp flight. I know he must have been clueless who first set the 25 feet mark. Only an avid BMX’er knew about that – and I was one of them. Shhhh. So today I tried to go back to a book review on Mat Hoffman’s book which I’m very sure I posted; however, I almost freaked out when I can’t find it in my multipy site, blogspot and even here in wordpress. I don’t know, but I got quite confused and began to suspect if the TRANSLTR really existed. Hahahaha. I got it all mixed up now. TRANSLTR is a fictional (is it really?) powerful machine capable of intercepting emails (or blogs?) and other electronic signals that may have the sinister intention towards Uncle Joe’s government. Thankfully that’s fiction and that’s from Digital Fortress by the way. Intercepted by TRANSLTR or just stuck in my files, here’s the book review. “Once a _____, always a _____”. Almost anyone can fill in these blanks. Well in my case, it’s “Once a rider, always a rider”. Back in the old school days as they call it, everyone in our group knows at least one bit of Mat Hoffman. We were a bunch of BMX flatlanders back then and despite Mat being famous in the vert sessions, no one really cared. Anybody who is “rad“, we idolize. My wife got this book for me from a book sale section at SM while I was busy filling my need for caffeine in the donut shop. Little did I know that the espresso load will somewhat become a warm up in preparation for what I’d be reading for the next hours until a few days more. The book sent adrenalin rush all over my body. It was as if I’m just in front of Mat Hoffman’s life as it unfolds. If I could haven gotten myself on a BMX at that moment, I could have delivered a couple of my favorite old school routines just like I did way back in high school. Perfect trick execution or not, it wouldn’t have mattered to me. It is that good. The energy it brings is infectious. 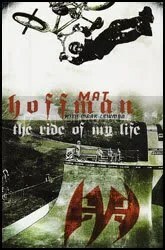 Reading Mat Hoffman Ride of My Life (with Mark Lewman) from start to finish sent me cringing, smiling, sighing or just plainly amazed…no, actually very amazed. Of course, nostalgic BMX daydreams came in every now and then in between pages. It just can’t be avoided by ex-BMXers like me. Needless to say, my BMX experience wasn’t even near Mat’s. In his ramp scale, mine will just be a mere curve past flat bottom. Yes, it was just that. Even then, those riding years gave me great memories, not to mention bruises and the shame that usually comes with it. “No pain, No gain” as we always used to say. And yet again, it just doesn’t come any near Mat’s. The 311-page, hardbound book comes with a great compilation of great photos (just in case one would wonder what in the world a can-can is) which covered almost every aspect of Mat’s life. It was here that I learned he was just a five year old kid when he started riding – horses just yet. And in no time his need for speed and especially flight started in quick succession. Mat was destined to be known as the Condor. With influence from his older brother he soon got introduced to motorbikes, ramps and their roof. Yes, you read it right, roof. Riders, or riders in the making, have different perspectives of the common everyday things: A roof is to “air time” – I remembered I jumped a couple of times from our roof top and landing on piles of leaves. If only I had a bike at that time. Hmmm; an innocent hand rail is to grinds; plywood is to ramps; a dry swimming pool is to jam sessions and the list can go on. And Mat’s list is one that most of us just can’t predict or let alone imagine. Mat’s skills eventually got him into a manufacturer-sponsored team and went into either doing demo (read: show-off sessions) or competition, starting as an amateur. I was surprised to learn that during this time Dennis McCoy (another BMX icon) was already doing pro. Of course his honeymoon with the bicycle scene didn’t come without any hitch. 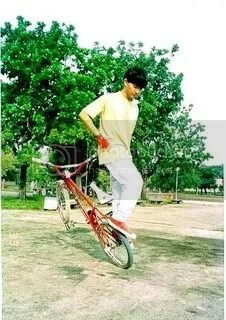 And this is when the BMX recession happened. It was during this time that Mat proved his love and passion for the sport. Instead of just quitting like everyone did, he founded his own Hoffman Bikes so he could manufacture bikes at his own specification (and his own backyard). 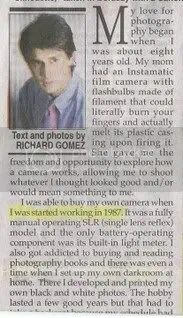 He was just 17 years old then. Eventually this backyard industry grew and become one of the biggest in the BMX business. As his riding skills and confidence progresses he started inventing (no, this doesn’t involve lab work) sick and original tricks. And one of which was the famous 900 – think of it as two and a half bike turns while on vertical flight. (Just one turn or a 360 by the way, would take a lot of skills already). Another thing that no one can take away from Mat is his famous, over spec ramp and the amazing height that it got him into. That ramp was 21 feet high and he was able to achieve another 25 feet of vertical flight from it, which made more believers and lesser skeptics – mostly, I guess were just green with envy. Until now, no one has come close to that feat. No one even dared. By the way, an advice to non-riders: avoid randomly picking and reading the pages as one might end up thinking that he’s reading a medical book (or a maniac’s death wish). The long list of Mat’s injury, mostly from doing his bike stunts, is enough for this book to be mistakenly placed by anyone alongside the surgeon or nurses’ reviewers section of the bookstore. And lastly, while reading this book having an air sickness bag right behind you may be a good idea as well. I highly recommend this book to anyone who is (or was) into bikes (esp. BMX. as one will surely love to read about most of BMX history’s evolution of tricks, bikes, apparel and riders’ skills) or just loves to watch the Extreme Games , Bike Stunts contest or the TV show, Jackass . Until now I can still smell the scent of our favorite bike shop. Ahhh, I just love the smell of tires and scuffed shoes. Thankfully I got this wonderful book for me to remember those good old carefree riding days. Now I remember, I sent this review as an entry in Philstar’s My Favorite Book, but it looks like they wanted it to remain just my favorite. Grrr. I’m thinking though that not much people can relate to this book anyway. Besides BMX riders prefer the streets and I bet seldom they’ll pick and read the Philippine Star. And that makes me a “Has Been”. Ti abi. One of the movies that influenced my life somehow, just a bit somehow was Dreamcatcher. I actually read the book (my wife gave it to me as a gift) first before I was compelled to look for its VCD (no “original” DVD yet that time). Other than the fantastic plot, story line, setting and characters, I love the word that it introduced me – SSDD. Same Sh#t Different Day. You see most days lately have been SSDD. No choice, but its been like it. Work. Home. Work. Home. Off. Play. Mall. Those things even done in pleasure becomes SSDD, in my opinion. Don’t get me wrong though, as sometimes I’d just utter SSDD just for the love of saying it. July 20, Friday, wasn’t meant to be. 10AM. After waking up late and a brunch meal at home, I was on my way to work. Driving my car for a quick trip so I could be on time for my 11AM interview. This has been one of the much-awaited moments in my career. Just another chance to step up. Hopefully. Fingers-crossed. And just along the way, I was repeating on my head over and over again the answer to the question, “How do you deal with difficult people?” You see I dreaded this question, the last time I was asked this on an interview, I fumbled. I failed. The interview came late but I think I did fine. The dreaded question didn’t came. Whew! And For the delight of it, I got my wife and I a to go lunch from Tokyo Tokyo on my way back home. Japanese food to go please. Namit. Past 7PM. This was supposed to be a routine one. I was doing the weekly cleanup of our hamster’s habitat. I was almost done re-assembling his trails and he was the usual jumpy rodent eager to check it out. Surprisingly on his way out in the middle of the trails, he sled and looked stunned while resting on top of the stopover point – called the space explorer. So I grabbed and raised him to see what went wrong. Once I laid him down though, my wife saw that he was panting, breathing heavily and just laid still. Oh oh. I once again lifted him up and checked for pulse. There was none. My wife tried her luck. It didn’t work either. Hollie was gone. It was heartbreaking for us. I did shed a tear (It’s funny how a small creature can mean so much) while I was completing the whole trail. It’s empty now. No more running & cage biting noise for days to come. He was 2 years and more than a month old. Past 8PM. Hating to leave home with just the recent event, I pushed myself to take a bath, get dressed and am on my way to a co-worker’s house. It’s his farewell party. He’ll be leaving for abroad by Monday to work at another company. It’s been like this at work. People leaving. Those left behind enjoying the party (farewell) while it last. And probably be leaving also anytime soon. Well, that’s life. Sometimes it’s just the same things going over and over again. Sometimes new things come (and go). And often times I’d wish that it wouldn’t just be SSDD. I’ve read a couple of “…for Dummies” book lately and it seems to work fine with me. 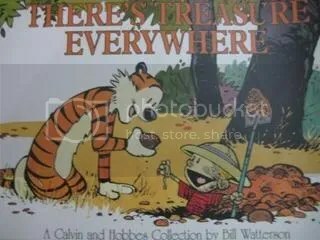 The text and illustrations of this book series are so clear and good, than non-dummies (no pun intended) will likely appreciate it as well. Most probably as a reviewer, just like myself (big naughty smile). Well I was actually surfing through the web tonight while having my night cap of a cheap Tanduay 5 years rum (which my father didn’t finished during his visit here) and started to check on some C++ reviewers to kill time. As it has been more than a couple of hours since I was having the night cap, I was having trouble understanding some of the syntax and commands when this light bulb of mine began to lit up. C++ for the Tipsy? Wouldn’t it be nice if some good authors come up with a “…for the Tipsy” book series then sell or display it at liquor bar tables? The series can have some titles such as “Driving Home for the Tipsy”, “Road Ethics for the Tipsy”, “Assembling a PC for the Tipsy”, “Biking 101 for the Tipsy”, “Job Hunting for the Tipsy” and any other things one might think of – i.e. while being Tipsy. I had to recommend though that pages of these books should be waterproof as some doesn’t stop at just being Tipsy. Go figure.